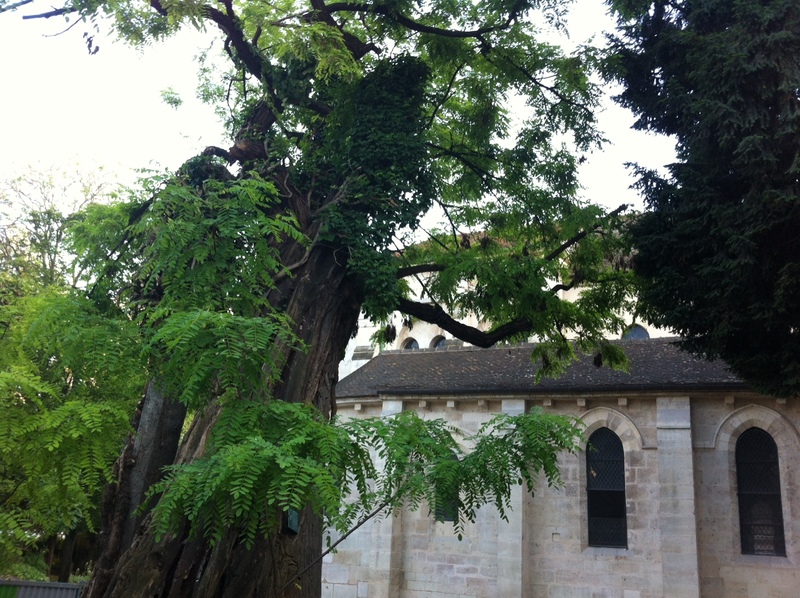 The Oldest Tree in Paris ? – In the Square René Viviani, alongside Saint-Julien-le-Pauvre church (a Melkite Greek Catholic parish church) and opposite Notre-Dame, 5th arrondissement. – The King’s gardener, Jean Robin, planted some seeds in in the city in 1601 imported from North America, it became the Robinia pseudoacacia, in French “Robinier”.